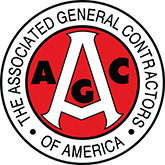 General Contracting — Empire Contractors.. Empire Contractors is a full-service General Contractor with almost fifty years of experience. Our competitive pricing and quality service have allowed us to develop solid client relationships with customers who return to us for their next construction project. Our hands-on approach of self performing much of the projects helps us to provide our customers accurate estimates and meet even the toughest project schedules.